Greater Cairo and the Nile Delta are considered very important, high-density population areas. The subject of the research work is dealing with recent crustal movements and its relation to seismicity and tectonics setting. A Global Positioning System (GPS) network consisting of 11 benchmarks covering Greater Cairo and the southern part of the Nile Delta was established in 1996. Different campaigns surveyed the network. In this study, we used ten measurements collected during the period from 2004 to 2010. The data were processed using Bernese 5.0 software to derive velocity vectors and principal components of crustal strains. The horizontal velocity varies in average between 3 and 6 mm per year across the network. Rate of the accumulated strains in the southern part of Greater Cairo varies from low to moderate. The low strain rates and low level of earthquakes occurrence in the present interval in the Nile Delta area indicated that the rate of the deformation in this area is small. The result from coupling GPS and seismic data indicates that the southern part of the area is seismo-active area when compared with the other parts in the network areas. The paper gives information about the present state of the recent crustal movements within Greater Cairo area to understand the geodynamics of that area. 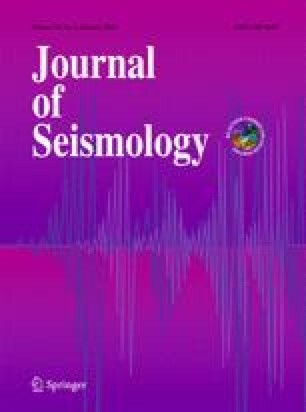 This study is an attempt to build a basis for further development of seismic catastrophic risk management models to reduce a risk of large catastrophic losses within the important area.